Doves are band that certainly don't need any help from this little blog, but the bands long awaited new album is finally out and I've kept my silence on this one long enough. Kingdom of Rust is proving to have been worth the wait and then some. But before I get into the album any further I have to rat myself out. On April 7th when this album was released it didn't get the attention that it deserved as it sat under new releases from The Thermals, Bob Mould, Telekenesis, and the new Superchunk EP. However now that I've had the chance to give Kingdom of Rust my undivided attention I am more than a little taken by it. From the one, two punch that is Jetstream, and the albums tittle track to the outstanding closer Lifelines, Doves have delivered an album that rivals there best work and proves that sometimes it takes four years to make an album as good as Kingdom of Rust. Doves will play The House of Blues on June 7th. 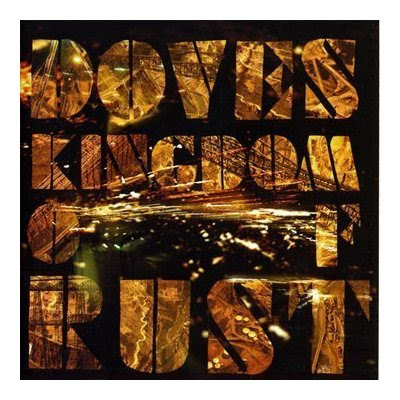 Watch the Doves Documentary chronicling the recording of Kingdom of Rust via the bands site doves.net. Doves on the Black Cab Sessions. I woke up this morning with this song in my head and as the norm, I felt the need to share. I've always had a spot in my heart for the music of Beulah, and there amazing When Your Strings Break album. Emma Blowguns Last Stand is a perfect pop song and great way to start off this spring morning or any morning for that matter. Update: I keep hear rumblings about Miles Kurosky's first post Beulah release. All we know at this point is the man is recording music again and after recovering from shoulder surgery last year he is able to play guitar again. Miles also recently put an end to the rumors of an all A Capella album. Crisis averted I guess. While The Crawling Distance andThe Planets Are Blasted continue to receive regular spins in the AGP offices I'm getting geared up for Bob's next release. On April 14th Robert Pollard will release his 3rd full length of this young year and 7th with experimental outfit Circus Devils via his Happy Jack Rock Records imprint. Gringo will once again feature the Tobias Brothers,(Todd and Tim respectively) taking on the instrumentation and production duties. 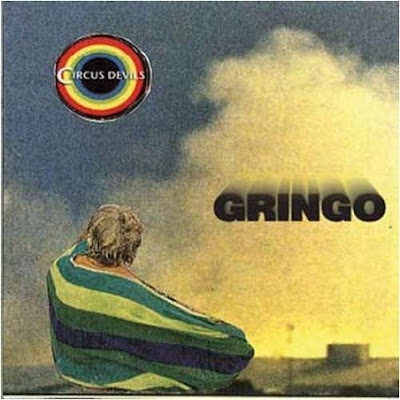 Gringo is being billed as a kinder gentler Circus Devils, complete with acoustic guitars, while still containing there off kilter experimentalism. Based on the tracks that I've heard Gringo is proving to be this springs most highly anticipated release.